‘Wedding Ideas Magazine’ takes a look back at Beth & Gerald’s super stylish Wedding at The Chimney House last Spring. 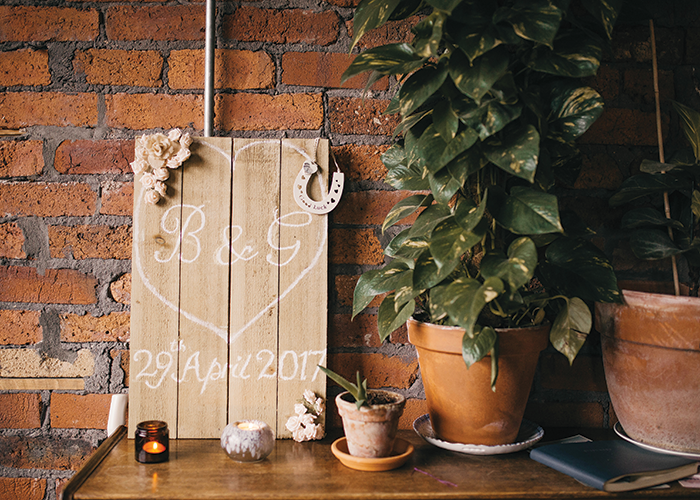 Beth and Gerald opted for an atmospheric warehouse wedding in the heart of Sheffield. We were delighted to be the first choice for this super lovely laid back couple. “I wanted a traditional wedding while Gez preferred something more casual and intimate. Getting married at Fulwood Old Chapel fit the bill for a romantic setting to start with. Then, after the ceremony, we jumped into a VW Camper and drove to The Chimney House, a restored factory space in the city, for our reception. Swallows and Damsons worked to a ‘midsummer’s night’ theme, including ranunculus, amnesia roses, lisianthus, scabiosa seed heads and poppy seeds in the bouquet.